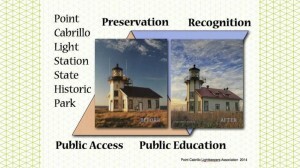 There are many opportunities to join our team of volunteers at the Point Cabrillo Light Station. Between the gift shop, the museums, our marine science exhibit, yard work and our busy Lens Tour days, there is no end to the ways that you can participate at the Light Station. We offer year-round opportunities to lead visitors on tours of the 300-acre state park. You can interpret and discuss our tide pool exhibit at the 240 gallon salt water aquarium, or tell the story of being a lightkeeper family living in the First Assistant Lightkeeper’s House. Love to work with gardens? You can help us keep our park beautiful by helping with garden maintenance. 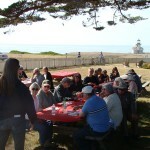 Whatever your interest, there is an opportunity for you to volunteer at Point Cabrillo. Here is one example of the difference volunteers have made. Click the image below to see a slideshow on gardening contributions by Nancy and Roger Thornburn and others. If you would like to become a modern volunteer Lightkeeper, consider Joining the United States Coast Guard Auxiliary. 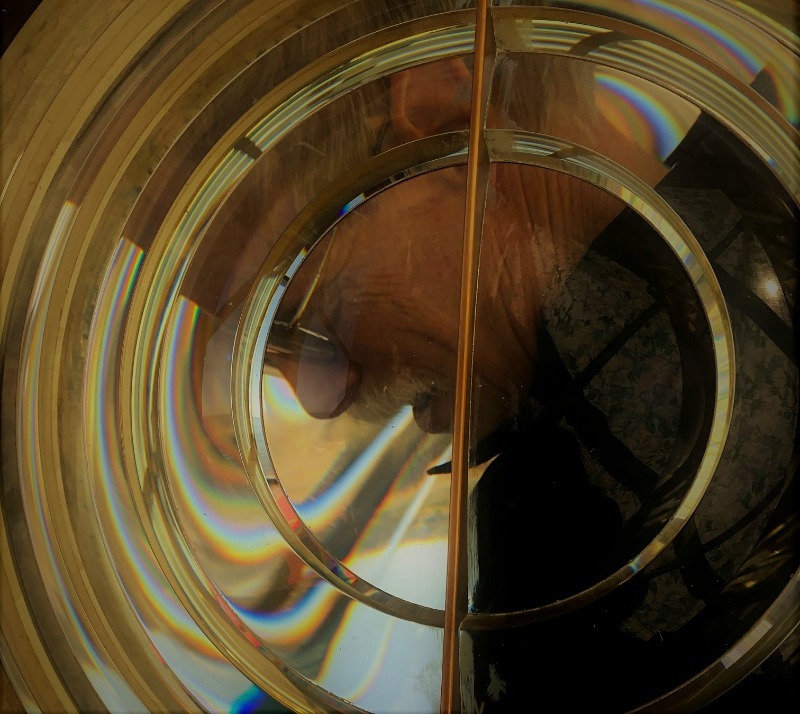 Mendocino County’s Auxiliary Flotilla 87 members maintain, clean, polish, and repair the lighthouse Lantern Room and the beautiful shining 3rd order Fresnel lens. 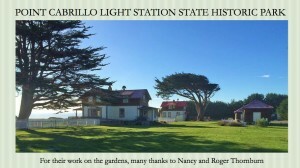 Whether you are a new volunteer or you’d like to explore new opportunities at Point Cabrillo Light Station, we offer docent training classes each year prior to Whale Festival in March. See this year’s class schedule. We also offer one-on-one training opportunities throughout the year for people wanting to become involved in our volunteer activities. For information about volunteering at Point Cabrillo please send an email with your questions to info@pointcabrillo.org. Hear from our Volunteer Docents! "I started volunteering at Point Cabrillo because I love lighthouses, and I was new to the area and wanted to meet people. 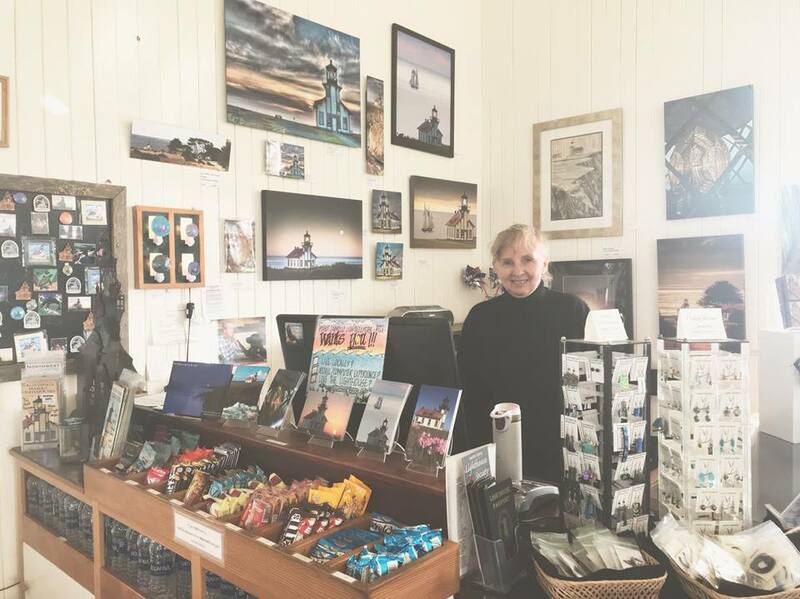 I enjoy the lighthouse because I get to be in a beautiful setting, I get to meet people from all over the world who come from many cultures, and I'm supporting a community effort to preserve local history. There is an endless stream of new facts to learn, and some of them I learn from our visitors! It is just a real joy."